At Gilead, we all work together as a team to help each individual on their road to recovery. Whether you are in the office greeting clients for an appointment, providing clinical services to a client, or helping ensure that Gilead property is safe and well maintained. Our clients are members of the Gilead family. You’ll notice something special about our staff. For us working at Gilead is not just a job — it’s what we love to do. Our services are marked with excellence and compassion because of the value that we place on each life that we touch. It is important to us that we do everything with integrity. We bring respect, openness, and honesty to our encounters with clients, families, coworkers, and community members. 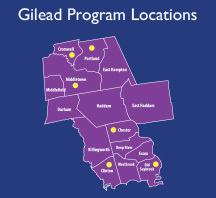 Gilead provides numerous opportunities for growth and offers a comprehensive benefits package. 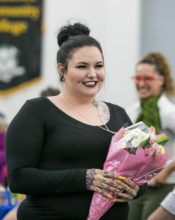 Courtney Tambling is the recipient of the 2018 Gilead Staff Excellence Award! She is the Senior Clinical Manager at Gilead I and demonstrates excellence through her hard work and dedication to Gilead, as well as the many clients she serves. 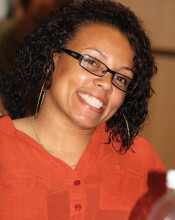 Courtney takes great pride in her work and has full knowledge of everything that happens within the program. If anyone were the ask Courtney a question regarding the overall program or clients, she has the answer! Courtney was instrumental in GI and GII’s recent Department of Public Health Inspections. GI had one of the best exit interviews ever and when GII had their inspector show up unexpectedly, Courtney helped them quickly gather information and prepare the program. Courtney volunteers as the GI union representative and has worked diligently to increase her knowledge of Gilead’s Policies and Procedures. By doing so, Courtney has been able to assist her peers not only in her own program, but also in other programs and to explain and implement new and old policies. Our Gilead Apartment Program (GAP) had an exceptional year in FY-2017 by achieving 100% (all 13) of their performance outcome measures and expectations in the areas of accessibility, effectiveness, satisfaction, and efficiency. 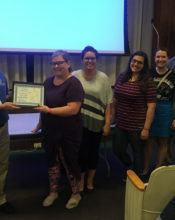 The GAP staff were all awarded an excellence award at a recent All Agency Meeting and are congratulated for this impressive accomplishment that demonstrates how they are helping GAP clients with improving lives and building futures! Gilead is proud to recognize Gena Privott, Kim Falango, Chip Hnatiuk and Sammy Santos as the Shining Star Award Winners for the 2nd Quarter of 2017. The award was instituted in January 2017 as a way for Gilead staff to nominate their peers for going above and beyond in service to our clients and to the agency. On behalf of the entire agency, Gilead would like to say CONGRATULATIONS and THANK YOU to this great group for their passion, commitment and dedication. Keep up the great work! 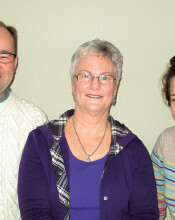 Cindy Lee is a well-seasoned clinician with over 30 years of clinical experience, including eight years at Gilead working with individuals with severe and prolonged mental illnesses. After attending clinical training on “The Maastricht Interview,” a nontraditional approach for persons hearing voices and another for persons with unusual beliefs, she expanded the scope of Gilead treatment services. 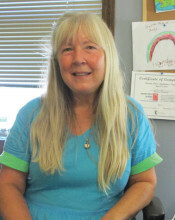 As a Hearing Voices Network (HVN) Facilitator, Cindy played a key role in motivating clients to become HVN facilitators, securing a community site and beginning a support group in Middletown. Rob Snyder, Linda Walsh and Mary Winalski, Gilead’s administrative staff, dedicated their time, energy, and skills over the past year to ensure that Gilead’s new Electronic Health Record, Evolv, was effectively implemented agency wide. This was an essential step to Gilead continuing to provide the high quality services for which Gilead has become known. 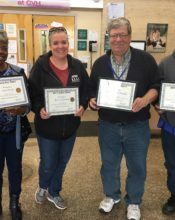 Their heroic accomplishments included completing 4 rounds of agency wide trainings, problem solving to keep the software running smoothly, offering tutorials and small group trainings, and responding to many of our endless questions about this new system! They have done an outstanding job of implementing this complex software! Throughout this process, Rob, Linda and Mary maintained a tremendously positive attitude, and provided exemplary customer service to the entire Gilead workforce! We would not have been able to successfully implement this complex system if it were not for the dedication of these three employees! Brad from Young Adult Services (YAS)/River Valley Services (RVS) contacted Gilead because he really wanted the Administrative Team at Gilead to know that working with Athena White is a pleasure. Brad could not say enough about Athena; he went on to explain how she has been developing positive clinical relationships with the individuals she works with, and the skills she offers are much more than just financial. Her positive attitude with staff and clients alike is warm and welcoming and she takes her work to “another level” which positively impacts the work done throughout RVS as well. Gilead is a fantastic place to work. Don’t take our word for it. Here is what our employees and Board members have to say. I enjoy working with my co-workers. Everyone is here for the same reason — the clients! What better job can one have — working with people every day? Not just ordinary people, people who invite you into their lives and share their experiences and journey through life. I have been with Gilead for 17 years; what makes me want to stay with Gilead are the clients. They are like my family; I enjoy watching them grow in life. Teaching the clients how to manage on their own is very rewarding, especially when they move on to the next step in their lives. Gilead staff is well-trained and great team players. 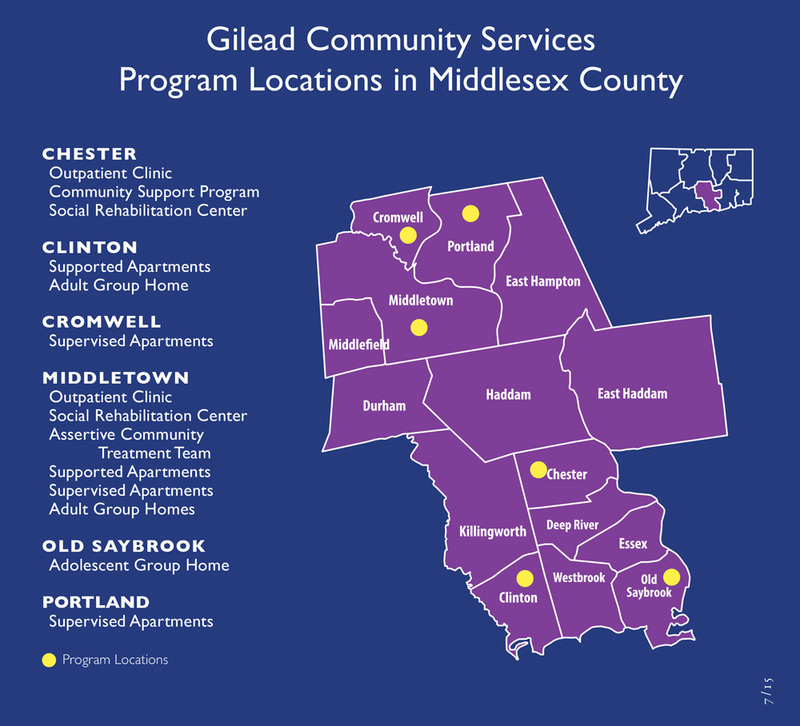 My support for Gilead was based upon the number of clients who have crossed my path over the years, who have benefitted from the services provided to them, and ultimately changed their lives from despair to hope!